Arizona graphic design team with over 75 years combined experience. Sometimes it is hard to get your company's information into the hands of the right person... and even harder to get a meeting and present yourself in person. No matter the situation, your message must be clear, concise and most of all... memorable. The importance of creating the right first impression and leaving the right lasting impression cannot be over-stated. 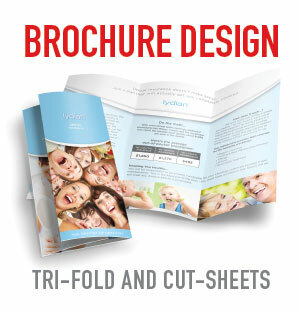 Whether you are looking for a complete sales kit with presentation folders and insert sheets, a booklet style brochure or just a simple tri-fold brochure... Tower has the brochure design and production solution for you. We can help you define your message and clearly communicate them in print and web marketing and advertising. 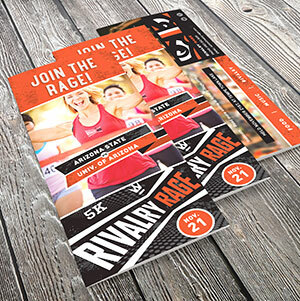 If you are looking for a company brochure that is truly unique, we can assist you in bring your ideas to life. Or better yet... let our graphic design team of mad scientists take your brand to a new level with some really out-of-the-box ideas! We have created award winning pieces in almost every category of graphic design and have worked with many local and national brands over the years. The sky is the limit... Let us become the personal trainer for your brand and build your company into a brand leader. Is print marketing really dead? Read a brief article here.